Is it too early so say Happy Halloween!? 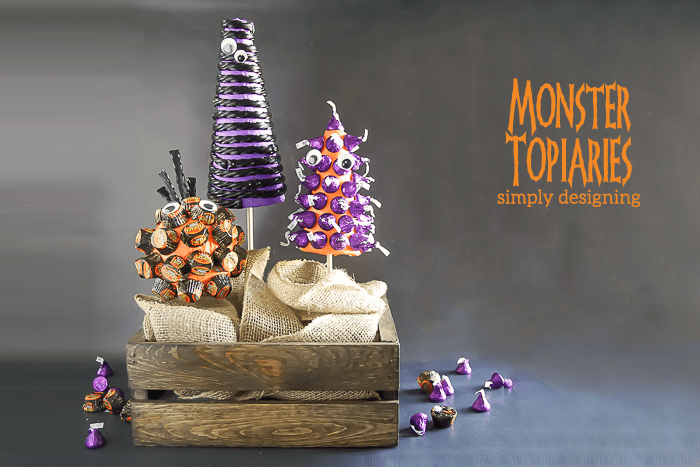 Ok, so maybe just a little bit early to say it, but it isn’t too early to craft for it! 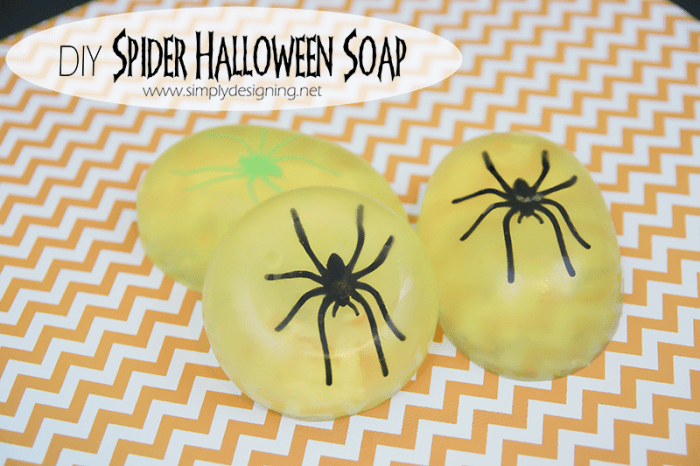 My kids and I both love Halloween and so today I am really excited to share a fun Halloween craft I whipped up last year, but didn’t have a chance to share on my blog last year. 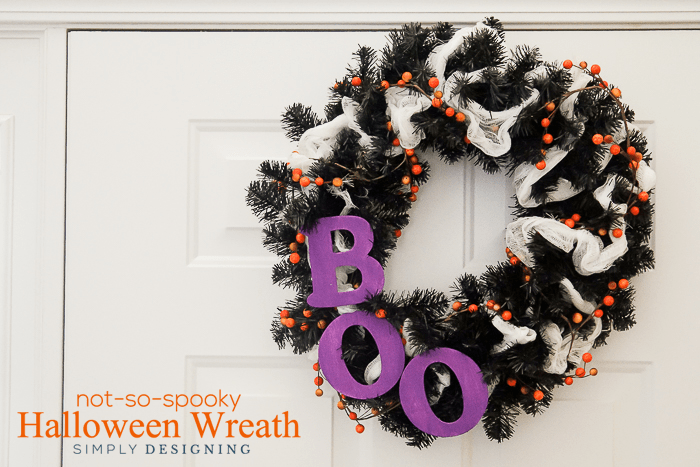 This fun and not-so-spooky Halloween Wreath can be put together in a few minutes, without a lot of time or effort and there is no special crafty experience needed! I promise! 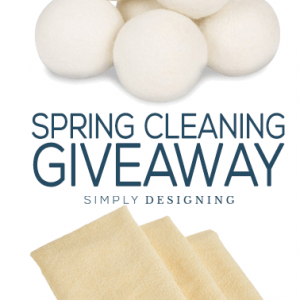 This is really easy to create! 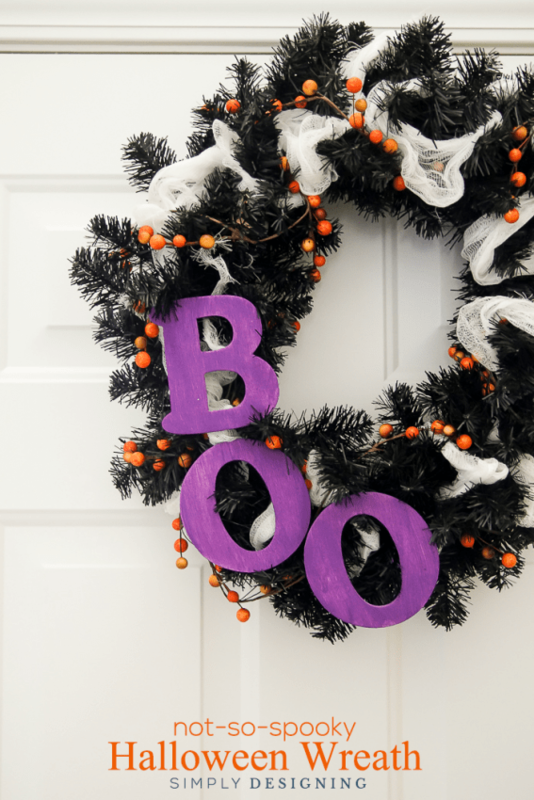 And it is perfect to hang on your front door this Halloween season. You will begin by fluffing your wreath up a bit. 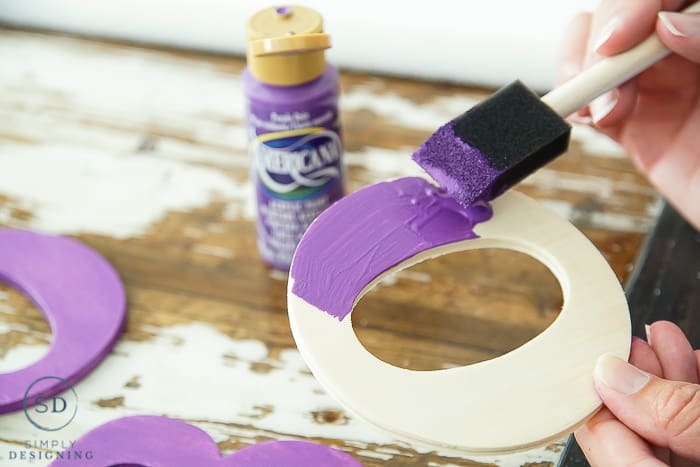 Then you will paint your wood letters with the purple acrylic paint and your foam brush. Set your letters aside and let them dry. 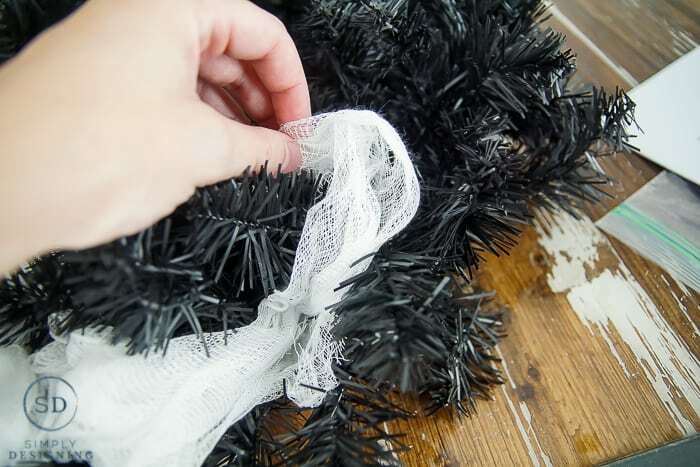 Cut your cheese cloth into 3 pieces and weave it throughout your wreath. You can tack it in with a bit of hot glue here and there. 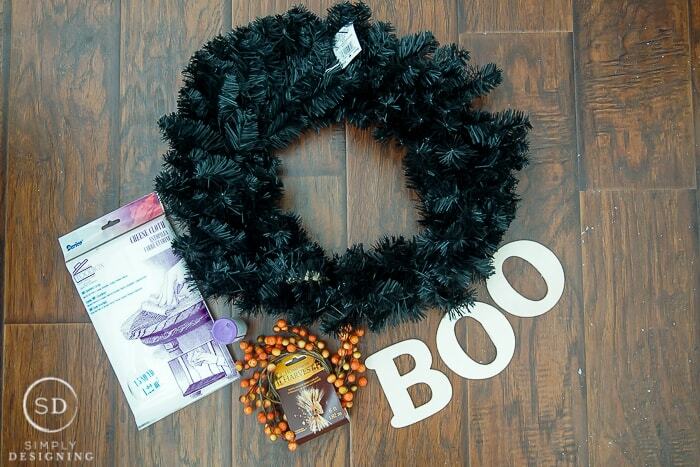 Add berries to your wreath and use your hot glue gun to tack those in as needed as well. 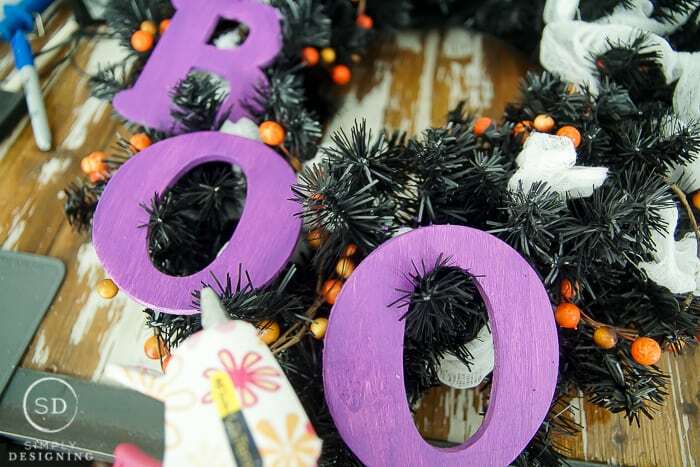 Finally you will want to use your hot glue gun to attach the BOO letters to your wreath. You can put these along a side, or across the top or bottom, the preference is yours! 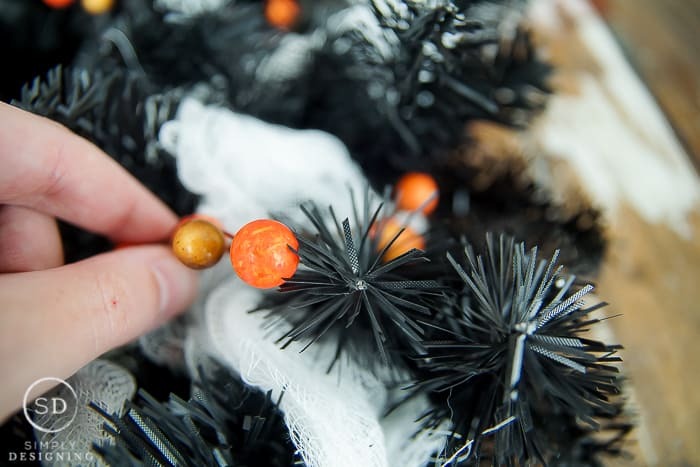 But be sure to add enough glue that they will withstand the fall winds if you plan to hang this wreath outside. 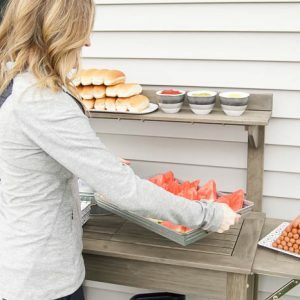 You can play with the berries and the cheese cloth a bit to make them more hidden or more visible depending on your preference. Cheesecloth will easily stay together or you can spread it apart if you want to see more cheesecloth so play with that as well to see what look you like best. You can hang this up for a not-so-spooky Halloween Wreath on your front door, or you can keep it inside for a fun festive decoration. 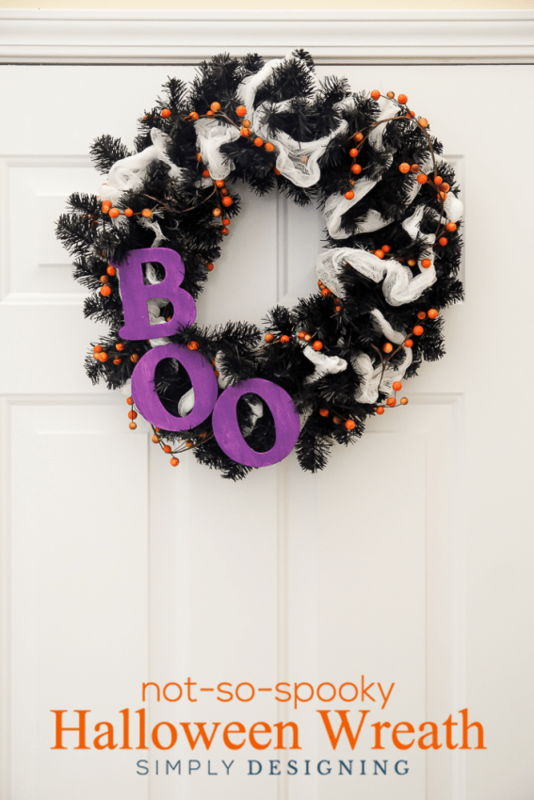 Either way it is a fun way to add a bit of Halloween decor to your home this holiday season. 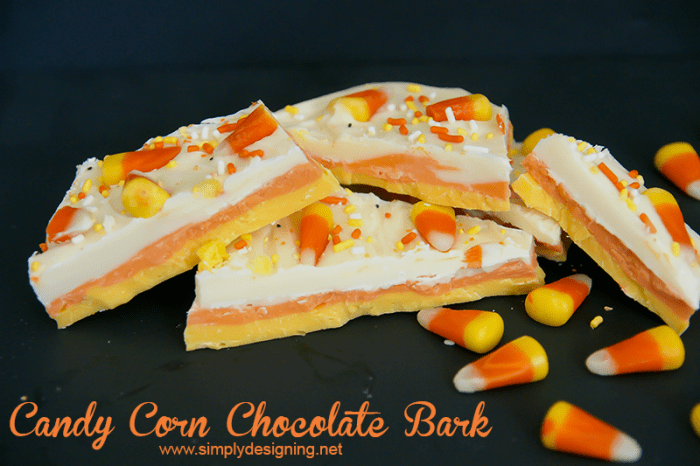 This post first appeared on the Darice Blog. 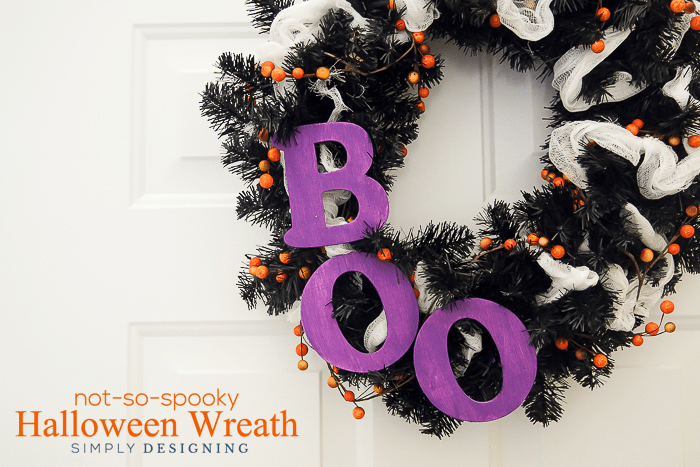 I love simple wreath designs that can be done quickly. This reminds me that I need to take down my summer stuff and put up Halloween.